Neko Atsume took the world by storm with its distinctive play style and lots of adorable hand-drawn kitties. The viral cat collector is easy to play, but hard to put down. All you have to do is place toys in your virtual backyard and wait for adorable cats to come and play with them. Kitties give fish once they finish playing with their favorite toy.There are several toys to attract cats, including rare meows that can be lured into your yard using expensive toys and food. Because of its simple, yet addicting gameplay and adorable visuals, the game has won the hearts of cat lovers. Sadly, it does not provide unlimited cats and there’s nothing more to do once you have captured pics of all kitties. 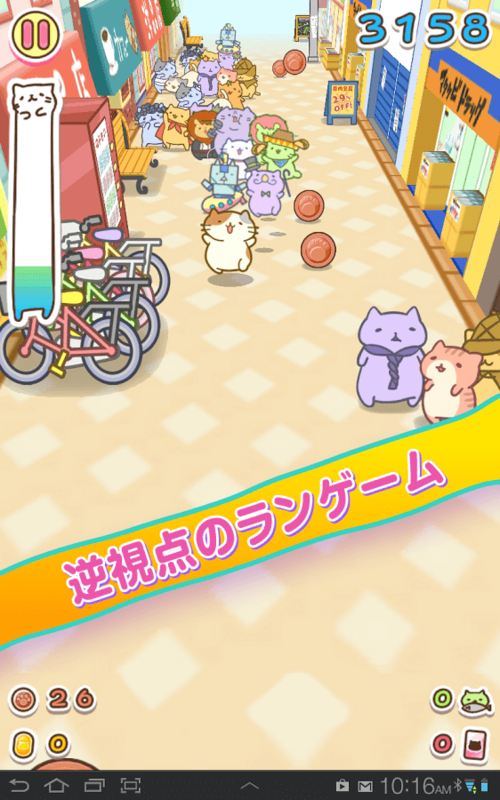 Thankfully, there are some fun animal collecting games that share some similarities with Neko Atsume that will make you go aww. Cuteness Overload guaranteed! KleptoCats are your loyal feline friends. These “cat burglars” display their appreciation by bringing gifts every time you send them out for a walk. All you need to do is pet them, feed them and they will be your BFF for life! Just keep them happy and they will bring rare items to decorate your room. A happy meter at the top indicates how happy they are and if they become too friendly, they might even bring rare crystals with which you can purchase more cats. Kitties that you have collected so far appear in the background sleeping or playing with toys. The gifts that they bring are randomly placed in your room. You can even decorate your cats with hats, bows and ID tags. But items costs coins, which can be earned from kitties or playing a fun tap-a-paw mini-game. KleptoCats has everything a Neko Atsume fan would like to see in a kitty collector. There are plenty of adorable kitties to collect and mementoes to place in your room. Check out our guide to know more about this game. Adorable rodents with their large cheek pouches are here to give you a cute attack! But they won’t come out of their tiny home unless there are toys and treats. Place them near the house, close the app and come back later to see shy rodents playing with them. When they leave, they will give you seeds, with which you buy more cool stuff for your pets. 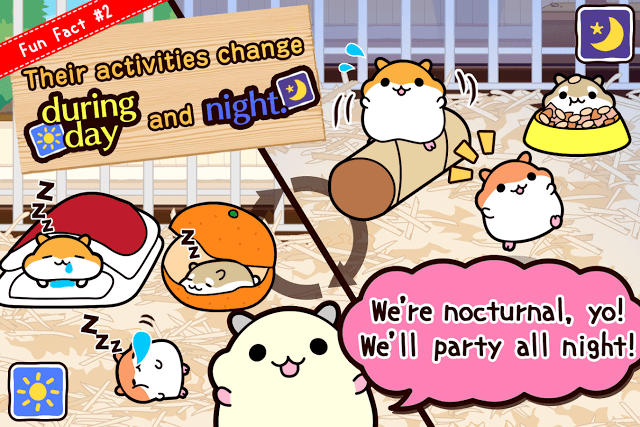 Hamster Collection has a day-night cycle, so expect these cute furballs to become more active at night. Besides taking photographs of hamsters in action, you can also pet these virtual furballs. Just tap a hamster to see him react to your touches. Every time you pet a hamster, his affection level increases. The more number of times you pet him, the higher the affection levels. A higher affection level results into highly active hamsters. They will perform actions that you have never seen before. Unlock a new animation by petting a hamster, but make sure you keep tapping whenever a creature is available for petting. If you ignore him, then his affection level will decrease and he may stop playing with toys. Hamster Collection pays tribute to Neko Atsume by placing a cat right beside the hamster cage. The kitty appears huge in front of tiny rodents, and will remind you of the cat collection game. You can see her curl and wag her tail. Nice Easter egg Ciagram! If you are fond of hamsters and have enjoyed playing Hit-Point’s epic cat collection title, then you should play Hamster Collection. Cute kitties in Animal Judy: Cat Care don’t run away after playing or eating food. They are here to stay in their cozy little home, provided you feed them regularly, scrub them clean and give medicines to them. They also give coins as a small token of appreciation, which can be used to get more kitties. And if you want rare breeds of cats, then just combine two similar looking meows to get a brand new, never-before-seen adorable cat. There are plenty of cats to collect via gift boxes or by breeding two kitties. The fun does not stop here. You can take your cats to a tournament and play exciting mini-games. These fun multiplayer games include running and slam. Compete with other players’ animals and win mini-games for more rewards. 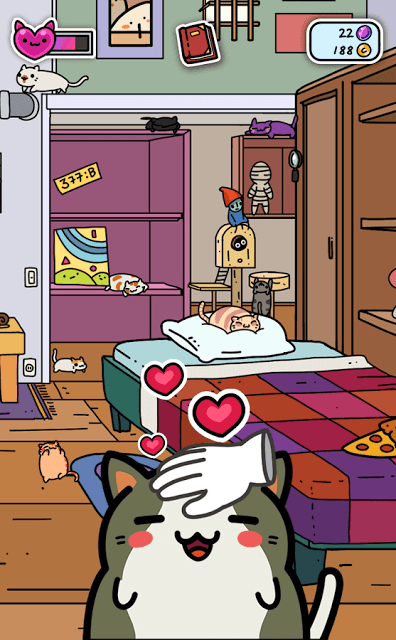 AJ: Cat Care is for those who are looking for a pet simulation game, and while it’s not as brilliant as Hit-Point’s fun cat collector, it has its own adorable moments. Come Here…Cat is a unique game that lets you make friends with a variety of animals and not just kitties. The goal is to attract them by putting food on a plate. Attracting animals is not as easy as Neko Atsume. You will have to use a fan to let the aroma reach animals hiding behind bushes. They may still not appear unless you tap on hearts appearing on a cup. This will make it easier for you to befriend a creature. Keep tapping on hearts until the five dots above a creature disappears. This will increase the friendship level and the animal will come close to the food. Don’t keep your plate empty. Always put food on a plate and only then animals will keep coming. A friendly animal will give you gold with which you can purchase food to attract different types of animals. A friendly creature will appear beside food faster and you won’t have to do much hard work attracting it. However, there will be several animals that can’t be attracted easily and may even hide and go away despite efforts to tempt them with delicious treats. Different types of foods attract different types of creatures. The game’s food menu provides a list of treats for each creature type. There’s a separate menu for cats, birds and even mysterious creatures. There’s an even mystery machine and pendant that can attract “unidentified animals”. The hand-drawn visuals remind me of the adorable kitty collector. It’s fun attracting different types of animals with and effort that goes on to tempt them pays off fully when they start appearing closer to the plate. Not all cats can be lured by toys; some can be created in a jar – at least in Mitchiri Neko Mix. 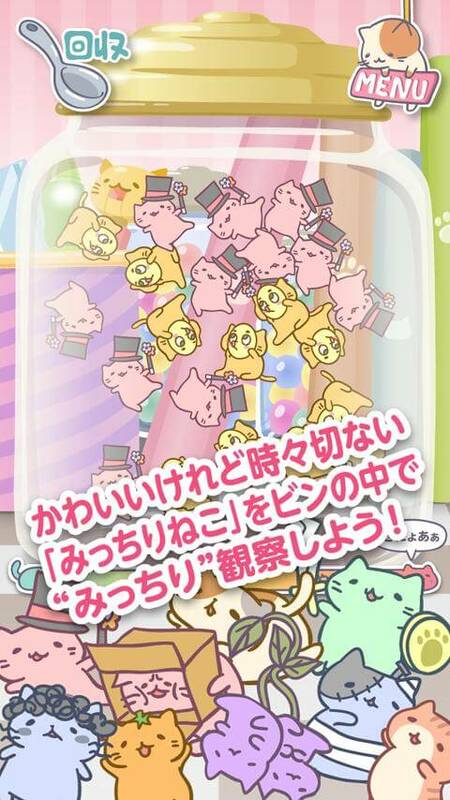 This insanely adorable Japanese cat collector game lets you collect tiny rare kitties by combining two different breeds of cats in a jar. It’s a science experiment of sorts and your kitchen lab is where you will create cats. You will need a minimum of 20 kitties, 10 cats belonging to one breed and 10 belonging to another breed, to create a new cat. To create 10 cats of the same type, just drop a meow into the jar and watch it multiply. Once you have collected 10 each from two different kitty breeds, it’s time to mix them to create a rare cat. A newly create cat will be added to your album. You can interact with cats in the jar and see how they react to your taps and swipes. It’s very delightful watching them smile and pour out heart bubbles every time you touch them. When the jar has 10 or more cats, tap on the spoon icon at the top to scoop them out. 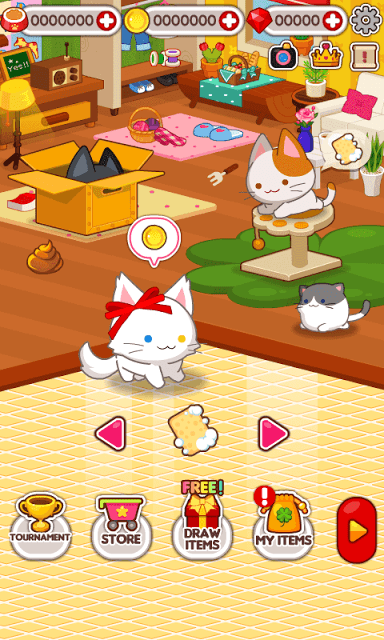 If you love pet sim and want to spend time collecting cute kitties, then Mitchiro Neko Mix is the perfect game for you. Gameplay is a bit weird, but it’s darn cute. If you want a more adorable version of this game, then download “Nekotanlab”. It has plenty of cats, different types of jars and a host of items to decorate them. 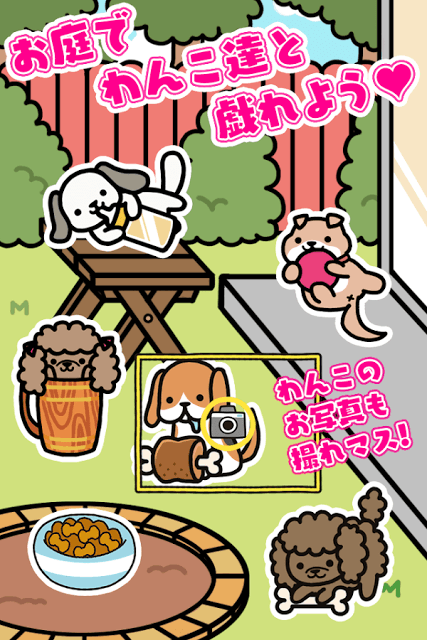 Boku To Wanko is exclusive for dog lovers who have always wanted their own Neko Atsume-like game. The concept is very similar to the cat collector, but canines appear in real-time. You will have to place toys and wait for a few minutes before dogs start appearing, playing with their favorite play things. Toys and gadgets range from record players and wigs to Aibo, the toy robo dog. There’s also a sneaky cat that appears sometimes, stealing dog food. 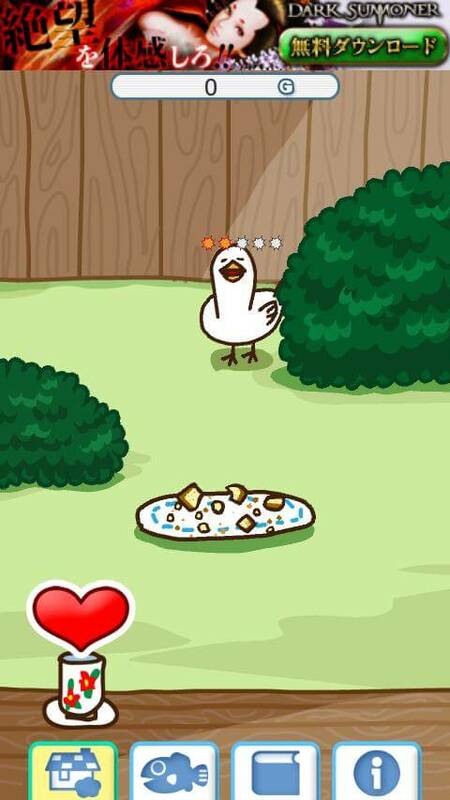 The game’s fun, adorable and a perfect way to kill time. Go for it! Neko Noke is a fun incremental game played with cats. There are plenty of adorable kitties to collect. Just keep petting (tapping) a cat to get furballs and use them to unlock more cats. Petting will trigger adorable reactions from your pet kitty. They just love getting petted, don’t they? With those furballs dropped by kitties, you not only unlock cats, but also make fun items. They can be used to decorate your room. Each item placed in your room also automates furball production, so you don’t need to pet a cute kitty every time. Just place items and let the furballs appear magically in your room. Neko Noke is a perfect time-waster you should try out. If you are bored waiting for kitties in Neko Atsume, open this app and get an instant dose of cuteness. From the makers of Mitchiri Neko Mix comes another adorable kitty game, and although it does not share any similarities with the viral cat collector, it has its own unique way to collect and feed kitties. An endless runner, Mitchiri Neko Dash lets you control a leader of cats whose goal is to gather all hungry kitties and send them to fish restaurant. You will have to move her on the busy kitty street, collecting green boxes and make sure she does not fall prey to kitty boulders, hungry lions and other assorted obstacles. The green boxes that you collect hide different breeds of endearing cats who follow their leader wherever she goes. The more cats she collects, the more points you earn when you send them to sushi restaurant. However, her followers will vanish if they get hit by an obstacle or if you don’t send them to a restaurant quickly. So make sure you reach the restaurant quickly to send all kitties for a fish feast before they vanish or get killed by obstacles. The game will tell you when a sushi restaurant is near and you just have to swipe left or right to send them in. There are plenty of power-ups that will make the leader cat invincible for a few seconds. This Japanese cat collecting game also lets you gather common and rare kitty cards, which randomly appear on the streets. These cards are stored in an album. The cuddly kitties in Mitchiro Neko Dash will make your heart melt and you won’t stop playing until you send them to their fish restaurants. U should find a Neko Atsume with birds, or other animals that haven’t already been used.